Canada, TPP members agree to revised deal without the U.S.
OTTAWA -- Canada and the remaining members of the old Trans-Pacific Partnership have breathed new life into a trade deal that will forge ahead without the United States and open distant new markets at a time of uncertainty closer to home. The agreement was struck Tuesday after two days of high-level talks in Tokyo -- exactly one year after U.S. President Donald Trump withdrew his country from the Pacific Rim treaty. The fresh commitment left Japan as the largest player in a new 11-nation pact that spans two hemispheres and includes both U.S. neighbours. Prime Minister Justin Trudeau hailed the revised agreement as the "right deal" and called it a new step on the path to ensuring the benefits of trade are shared by everyone, not just the rich. But with only a few publicly available details following the announcement, many questions remained unanswered Tuesday. And there some criticized the process for largely taking place in secrecy. Among the open queries was how -- or if -- the federal government will compensate dairy farmers, who learned their protected sector is to be opened up by 3.25 per cent to foreign competition. That concession on Canada's supply-managed dairy sector was the same as the one outlined in the original TPP deal, which was negotiated by the previous Conservative government. But it remained unclear Tuesday if Ottawa would offer dairy farmers the same $4.3-billion compensation package put forward by the Tories. "It's a pretty sombre day for the 220,000 Canadians that depend on dairy for their livelihood," said Jacques Lefebvre, CEO of the Dairy Farmers of Canada. Many sectors in Canada, including much of the country's agricultural industry, applauded the deal. But even those who thought the deal would likely be a positive for Canada approached the announcement with some doubts -- at least until the fine print comes out. "Signing another free-trade agreement is not a panacea," said Canadian Manufacturers & Exporters president Dennis Darby, who was optimistic about the agreement. "The devil will be in the details... It's not so much the tariffs, but what are the other elements of this deal? Because it's the non-tariff barriers that have sometimes proven to be difficult for Canada." 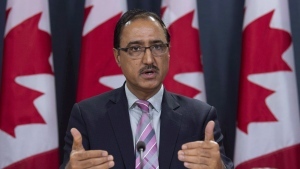 Right up until the announcement, Ottawa was pushing for more progress on negotiations surrounding the automotive and cultural sectors. International Trade Minister Francois-Philippe Champagne pressed his counterparts for an exemption on culture-related elements that had been part of the original TPP deal. A government official said Canada will protect its cultural sector in the updated deal through legally binding side letters with each partner. The autos component risks being more controversial. In a sector considered key to the deal, Canada managed to get a bilateral arrangement with Japan to resolve non-tariff barriers, including a binding dispute settlement mechanism, according to an official. The official said the side agreement brings into force key commitments made by Japan to Canada and the U.S. in the original deal, but which were lost when the U.S. pulled out. The new deal also includes a bilateral agreement with Malaysia to adjust auto rules-of-origin and another agreement was being finalized with Australia, the official added. But several auto-industry associations, as well as a union that represents Canadian auto workers, criticized the deal. The Canadian Vehicle Manufacturers' Association feared the agreement would give foreign competitors an edge over domestic companies. Trudeau described the agreement as a victory for the Asia-Pacific partners as well as workers in each of the countries. "The agreement reached in Tokyo today is the right deal," Trudeau said in a speech at the World Economic Forum in Davos, Switzerland. "Our government stood up for Canadian interests and this agreement meets our objectives." 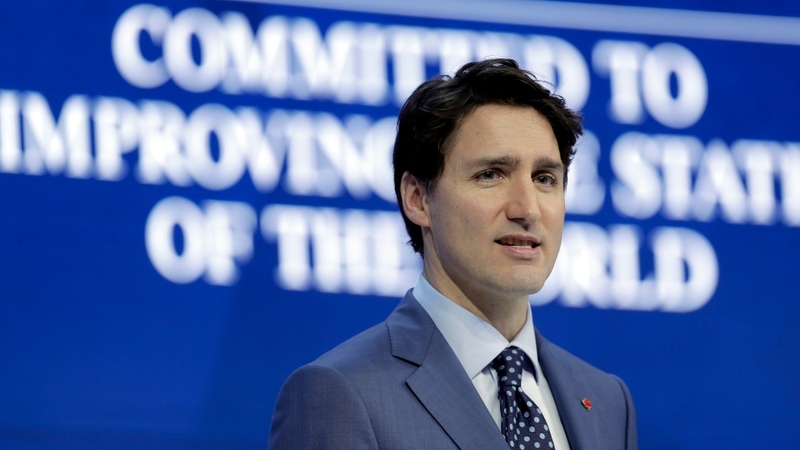 Canada, the second-largest economy among the partners, was widely considered the main holdout in the negotiations to revive the pact -- rebranded last fall as the Comprehensive and Progressive Agreement for Trans-Pacific Partnership -- without the U.S. 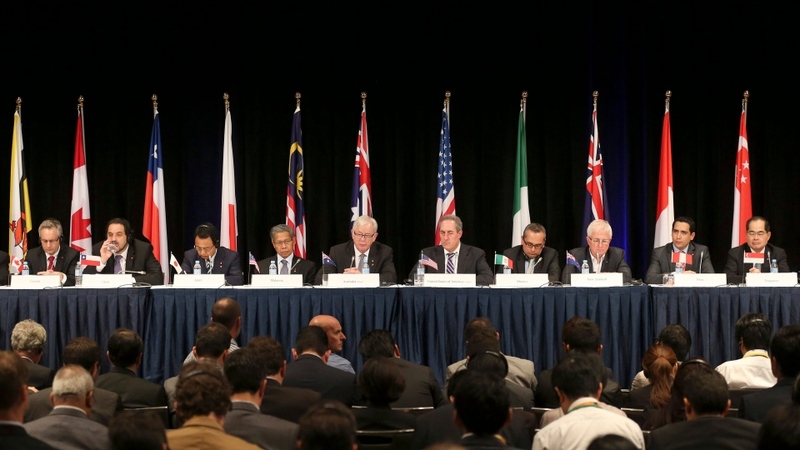 The partners are now expected to work toward signing the agreement by early March. In a statement Tuesday, New Democrat MP Tracey Ramsey accused the Liberals of failing to fulfil their pledge to be more transparent as they rush towards a signing ceremony even though the public knows little about the agreement. The Tokyo negotiations were the first high-level talks since the leaders of the partner economies met in November on the sidelines of the Asia-Pacific Economic Co-operation summit in Danang, Vietnam. Trudeau drew international media criticism there by deciding not to sign an agreement-in-principle on what was then known as TPP11, following the U.S. withdrawal. Trudeau's decision in Vietnam to continue negotiating for a better deal, rather than striking an agreement, led to the abrupt cancellation of a TPP leaders' meeting in Danang. After Trudeau declined to attend the scheduled meeting in Danang, there were reports his decision angered Japanese officials, including Prime Minister Shinzo Abe. On Tuesday in his Davos speech, Trudeau made a point of mentioning Abe. "I also want to specifically and personally thank Prime Minister Abe for hosting the recent talks and for his continued and extraordinary leadership in reaching this positive outcome," Trudeau said. Many believed the original TPP had suffered a fatal blow when Trump pulled out of the deal in his first week as president. Besides Canada, the new deal's partners are Australia, Brunei, Chile, Japan, Malaysia, Mexico, New Zealand, Peru, Singapore, and Vietnam. As part of the Canadian effort, Trudeau dispatched well-connected Vancouver Economic Commission chief executive Ian McKay as his personal envoy at this week's negotiations in Japan. Most importantly, the deal will open up access for Canada to Japan's economy, the third-largest in the world. Canada's agricultural, seafood and forestry sectors are expected to see some of the greatest benefits.